2011 Heinlein Award Goes To...Connie Willis? Two more books by Nicholson Baker -- Room Temperature and The Anthologist. Room is his second novel, and, like both The Mezzanine (which I got on a recent Borders trip) and A Box of Matches (which I reviewed a couple of years ago), it's a short book focused on a single character's thoughts during mundane actions. Anthologist is a recent novel, also pretty short, that was reviewed very well. And I'm not admitting that I'm thinking about reading a burst of Baker so that when I inevitably get to his smutty new novel House of Holes I will have a very good excuse for doing so. 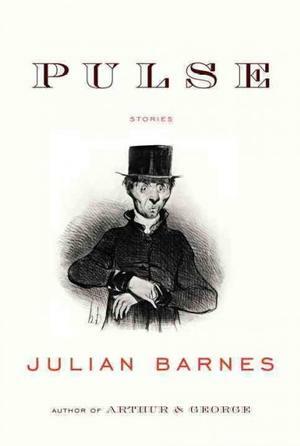 Julian Barnes had a new book of stories out, Pulse, which I didn't know about -- I've read nearly all of his books (aside from a copy of Arthur & George that I'd been meaning to read and lost in the flood), and I saw no reason to stop now. I probably had a copy of Diablo Cody's Candy Girl, but I'm pretty sure that I've never read it, and I get the impression that she tells an interesting story. Plus, I have to imagine that the story of a year spent as a stripper -- by a woman who has no particular axe to grind or sob-story to tell -- has to be a lot of fun. I intermittently want to read more travel books -- I just finished up one of Paul Theroux's great grumpy sojourns, for example -- and I'm also fond of stunt books that transcend their stuntiness, so I grabbed Tony Horwitz's A Voyage Long and Strange, in which Horowitz wandered around America searching for signs of the earliest explorers. Reif Larsen's odd metafictional novel The Selected Works of T.S. Spivet -- complete with fictional "real" documents included, something I'm always interested in -- got great reviews, and was in the back of my head, so I was happy to find a copy for 80% off. I haven't kept up with Walter Mosley's books, which is a shame, since he's a compelling and always-interesting writer. I do want to at least hit his mystery novels, since I started with his great Easy Rawlins books, so I grabbed a nice paperback copy of the first book in his new series, The Long Fall. I've had Michael Specter's Denialism on my look-for-it list for around a year now; long enough for it to turn up in paperback. It's a book about the dangers of irrational thinking, and (I think) one that's not overly partisan. I know I had a copy of Scott Westerfeld's scientifically-justified-vampires novel Peeps, and had even read the first chapter before putting it on the shelf, but it was swept away by the flood as well, so I got a snazzy little Razorbill paperback for nearly free. I've read at least one of Doug Ten Napel's graphic novels before -- I know I got to one during my Eisner judging -- and I like his energy and style. 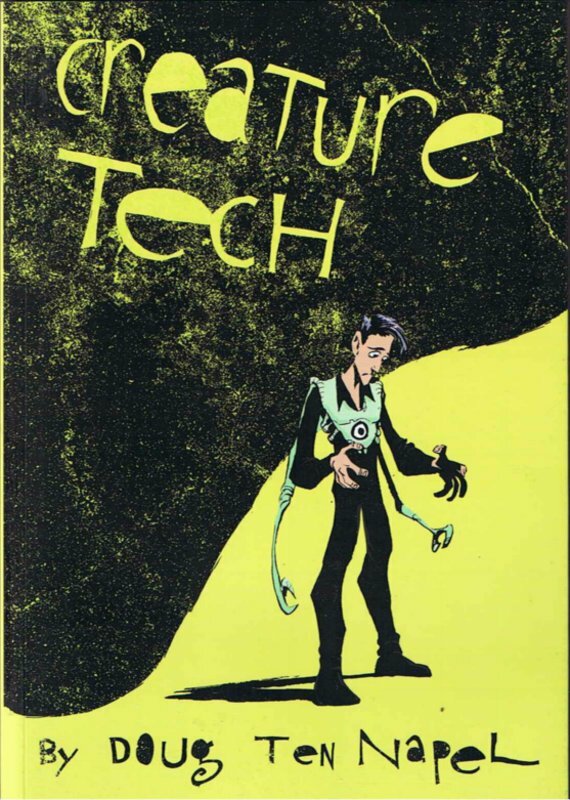 So I grabbed Creature Tech, about which I know very little -- it's an adventure story of some kind published by Image pretty recently, and that's all I need. And the happiest discovery was Bill Mauldin's Willie & Joe: Back Home, a collection of his post-war cartoons. Mauldin is one of the great cartoonists (and, in his way, journalists) of the 20th century, but I'm more familiar with his wartime work than with the years just after. Plus, this is pretty much a brand-new book, so I'm not sure how it made its way into the liquidation -- but I'm not complaining! Parker's biographies have consistently avoided personal pronouns, and Parker's books are tough-minded stories of driven men in dangerous circumstances, so my personal theory has always been that Parker is actually female. (I like to believe that this writer, who is as ineluctably masculine as James Tiptree, Jr. was, is equally as actually masculine as Tiptree.) I've seen some evidence to support this, but it it not confirmed. Wow...that's a lot of books. I think the Scavenger trilogy is the high point of Parker's work so far (though the Engineer trilogy has some marvellous scenes). One day I'll re-read it and figure out exactly what is going on, and what the timeline is, and what the deal with Monach is (is he Poldarn? or part of Poldarn? or some sort of mirror image? seriously unlucky monk? ), but when I've tried before I just got too engrossed to analyse.